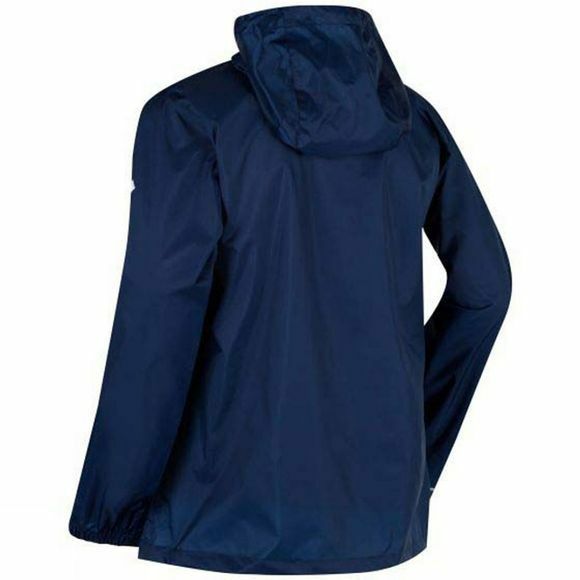 Lightweight, waterproof jacket that pack down small. 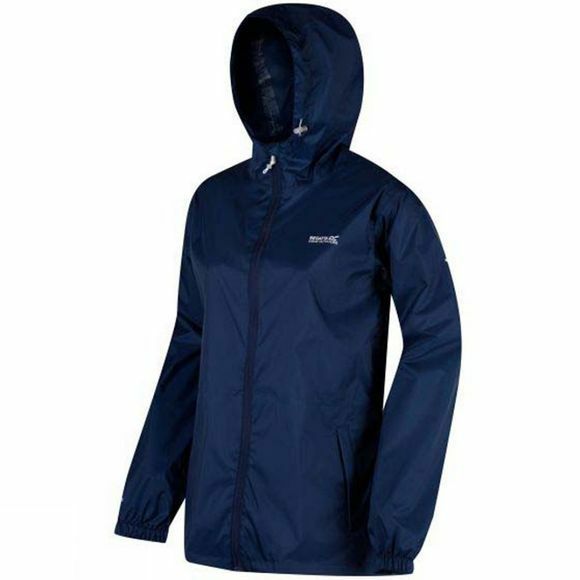 A go-to for thousands of people for walking, hiking, camping, festivals and backpacking, our Women's Pack-It Jacket is an outdoors classic. The seam sealed ISOLITE 5,000 polyamide fabric with a DWR (Durable Water Repellent) finish sheds moisture and breathes so you stay dry inside and out. The adjustable hood provides superb coverage and the snap fasten front is reinforced with a sleek stormflap for extra protection. With two handy pockets, a small stuff sack and the Regatta print on the chest - it's one to keep behind the door, in the glove box, under your desk or more sensibly with you at all times. Wear in tandem with the Regatta Pack-it Overtrousers for head-to-toe protection.